Principal's Notes - Great job to everyone on the Science Fair! I was so impressed with all the work that our students and staff did to put on this special event. A huge thanks to our volunteers and judges as well! We really appreciate all the hard work you did to help make this year's Science Fair another successful one! 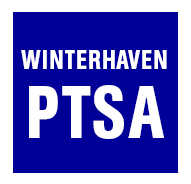 Winterhaven Lottery - If you are a current Winterhaven family and your student has a sibling that wants to attend Winterhaven next year, please contact the office for further information. Immunization Exclusion Day - Exclusion day for state required immunizations is Wednesday, February 21, 2018. Students who are not current will not be able to attend school until their records are complete. Letters will be mailed the first week of February to parents whose children are incomplete and will be excluded if not updated by February 21, 2018. Please arrange for your child to receive needed immunizations so that they can remain in school. If you need assistance in locating a health care provider or clinic site, please contact your school nurse. Winterhaven Sweatshirts – We have a limited number of sweatshirts with the Winterhaven logo in the office for sale. These are navy blue with white lettering, and the sweatshirts have NO hood (crew neck). To purchase or check on sizes, please contact the office. Youth sizes only, no hood, $20 each. These are to be sold first come first served. United States Navy Band – Sponsored by Cleveland High School on February 17, 2018. The doors open at 6:15 pm. Our show is at 7:00 pm. Ticketholders are requested to arrive by 6:45 as the general public will be admitted by 6:50 pm. Please print your ticket or have a copy on your phone. The Concert Band is the United States Navy's premier wind ensemble. This group includes 56 performers on flute, oboe, clarinet, saxophone, bassoon, trumpet, horn, euphonium, trombone, tuba, string bass, harp and percussion. The band's repertoire includes marches, symphonic selections, patriotic works and popular favorites.